When I saw Amanda's Just Add Christmas card, my first thought was "I must case that!" 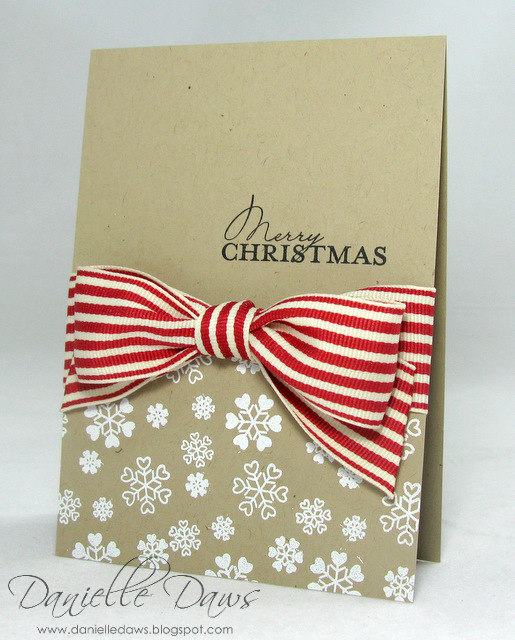 It's so gorgeous, and uses three elements that I just adore - Crumb Cake cardstock (the cardstock formerly known as Kraft), heat embossing and that scrumptious wide striped grosgrain ribbon. Heavenly! they say imitation is the highest form of flattery! I think they are both gorgeous! Amanda's too cute as well! I think Amanda would be flattered to receive a CASE card for Chrissie. Both lovely cards & gorgeous bows!!! lol you are a crack up Danielle... gorgeous cards both of them! They are both gorgeous - so simple yet classic. WOW Danielle, i LOVE the second one and your bows are awesome!!! Super job and I'm with you that card of AManda's was/is stunning!!! Hope your Christmas season is a wonderful one thus far! 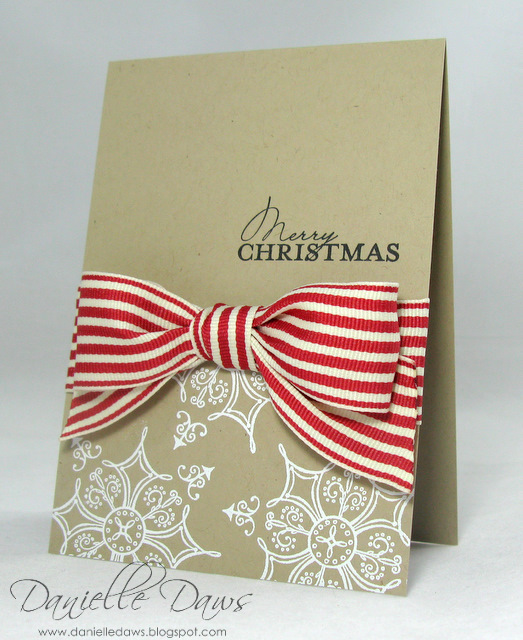 Beautiful cards and your bows are gorgeous too!